Hip-hop superstar Future is coming to Singapore. Concert promoters LAMC Productions took to social media on Friday, 22 March to announce the show. 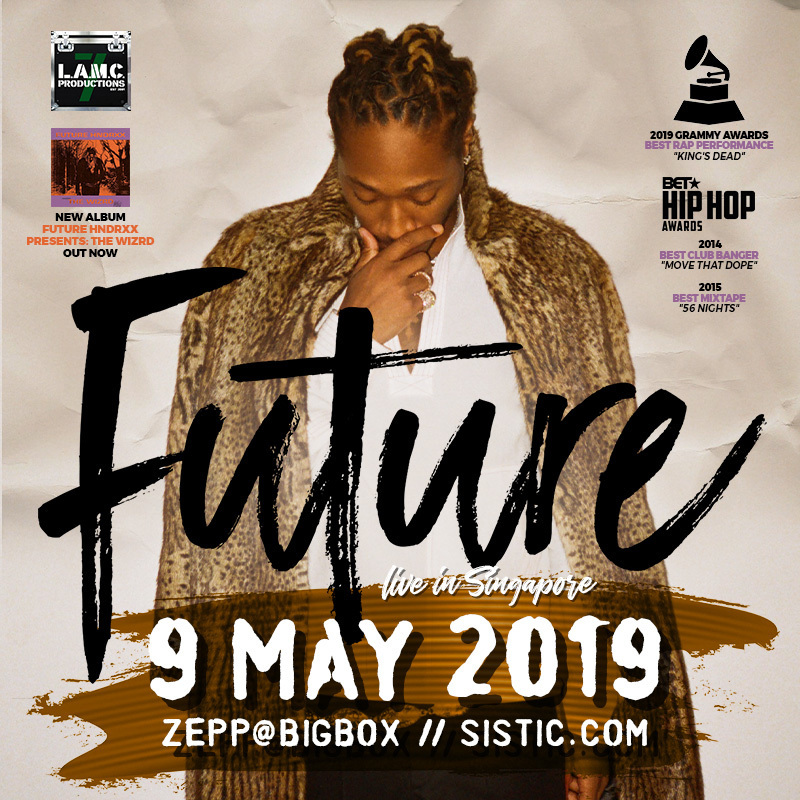 The American rapper, singer, songwriter and record producer has made waves throughout his career, with hits such as 'Fine China', 'Mask Off', 'Jumpman' and 'King's Dead', with Kendrick Lamar and co.
Future is set to perform at Zepp@BIGBOX on 9 May. Tickets are being priced at $148 and $158 for Early Bird prices and Standard prices respectively. Tickets at the door will cost $168. Tickets go on sale at 10am on Mar 25, 2019, via the official ticketing agent SISTIC and at all SISTIC Authorised Agents.